A weekend in Berlin can change the way you see the world. Art, music, clubs, after parties and all the creative energy of a city with the most exciting, artistic neighborhoods of the world. 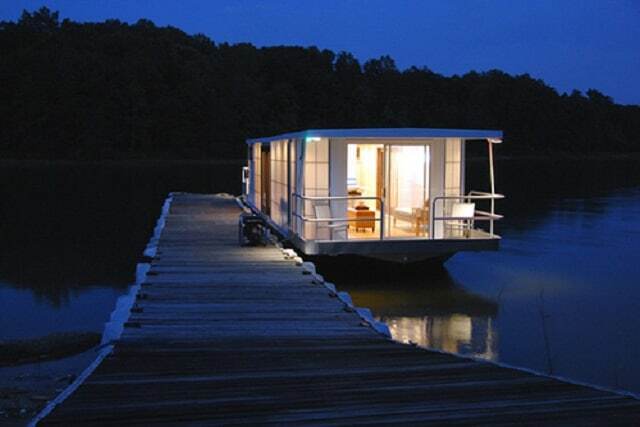 A new separate accommodation choice for those seeking tranquility and isolation is a modern boat house, the Modern Houseboat. 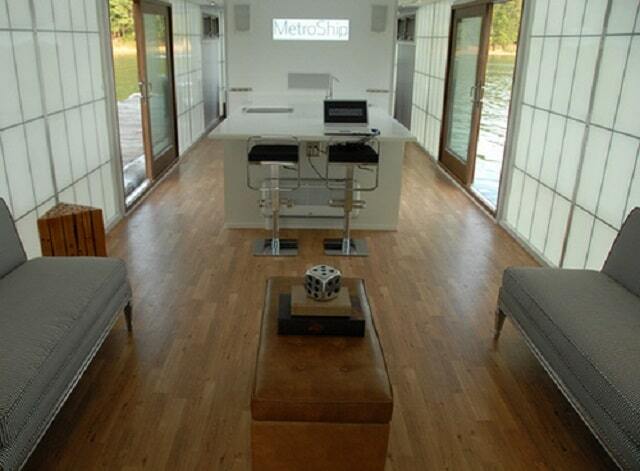 Anchored in the bay of the River Spree, this houseboat reflects the eccentricity of Berlin. Here you will find modernism at its best. Spacious rooms, clean architectural lines and geometric designs create the ideal environment for relaxing moments. In materials, glass, wood and cement are dominating, while the comfortable rooms are decorated in warm colors and with an essential accessory the wooden stove. 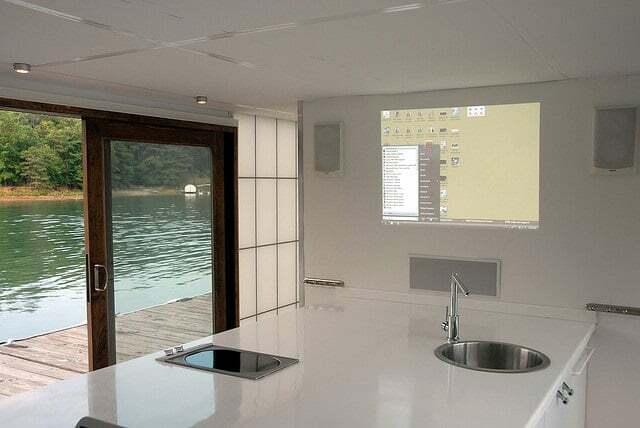 The feeling of comfort is enhanced by the large windows, which occupy all the parts of the floating house, which includes a bedroom, kitchen, dining and living areas, all offering a unique view of the water. The platform in front of the house invites you for a moment of peace, with the company of ducks, geese and a swans, of Ludwig, which often makes his appearance. Facilities include a pair of handmade Bella Ciao bikes for you to explore the surrounding area. 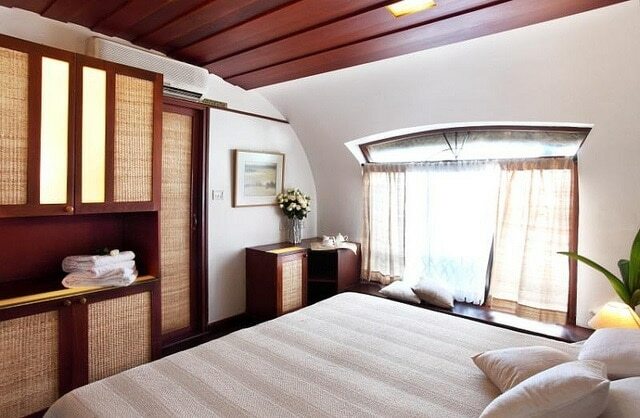 The cost in this beautiful and peaceful house begins from 180 euros for a double room with a minimum stay of three days. More about Berlin here: Museum Island in Berlin: 5 in 1, What to see in Berlin | The gigantic gray-color buildings of Friedrichsfelde. 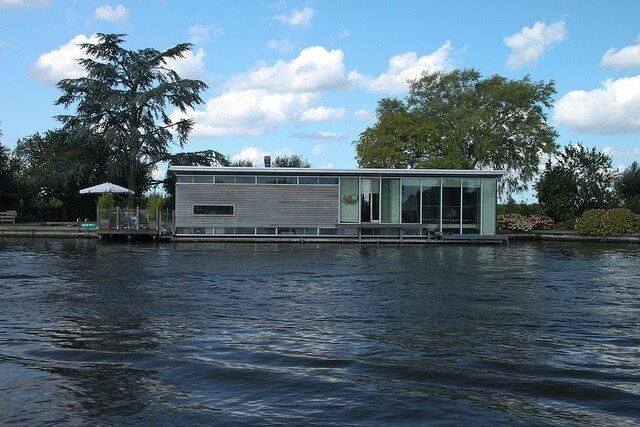 Houseboat photos: Muthoot Hotels, metroship, LeChienNoir. Previous articleDon’t let the stress of getting ready stop you going on a trip!